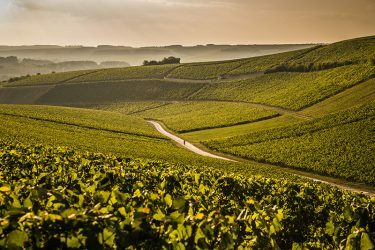 Situated in the heart of the Chablis appellation La Chablisienne, the golden gate of Burgundy, owns almost 25% of the 4700 hectares (11613 acres) planted. 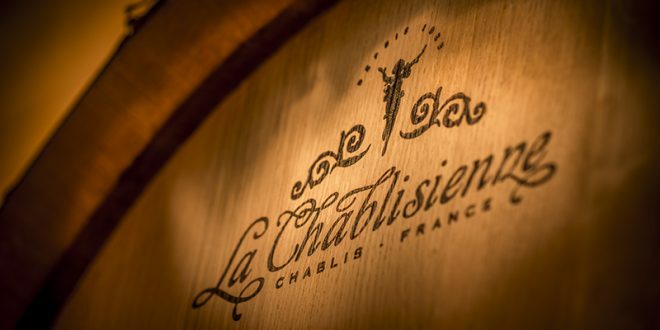 La Chablisienne is a cooperative cellar that was created in 1923, to cope with economic difficulties. A group of wine growers wanted to sell wine more easily. 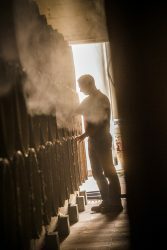 Today, the cooperative is home to nearly 300 winemakers. There is one grape variety that is cultivated on the estate, Chardonnay, the shared know-how of terroir and Kimmeridgian soil make these wines extraordinary. In the 1920s, the economic crisis was well underway. To combat its negative effects, a cooperative cellar was created by a group of winegrowers. The goal was to sell wines with less economic adversity. Before the 1950s, producers grew their wines in their own facilities. By collecting the musts from each producer, the cellar and the different teams are able to oversee every step of the vinification process. The cooperative grew very quickly, now more than over 300 winemakers who discuss regularly with technical teams. These exchanges make it possible to work with the best quality grapes, in order to produce wines that improve over time. The domaine is well-placed, Chablis is the largest white wine producing region in the world. Owning 25% of the 4700 hectare appellation, the estate produces almost 250 000 hL per year. Using only Chardonnay for its wines, it uses the magical terroir to produce unforgettable wines. The Chardonnay vines are planted on Kimmeridgian soil with marls, limestone and oyster (which provide minerality in the wines). Each year, the team of 300+ winemakers work together to make the best whites of Chablis. The entire production process is supervised carefully by the various technical teams. Vineyards, passionate winemakers all important pieces to creating unique wines of distinction. 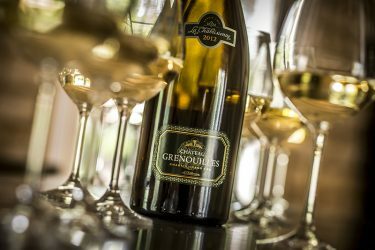 Every year, there are no less than 30 very distinctive vintages: 6 Grand Crus-including the famous Chateau Grenouilles, the only chateau on the Grand Cru’s hill- 15 Premiers Crus, along with Chablis and Petit Chablis. The wines come from every single terroir of the appellation and express the minerality of the terroir with exceptional elegance.